Traditional Flossing vs. Water Flossing: Which is Better? We have all been there: you are laying down on the dentist’s chair and the dental assistant pulls the floss out. She starts flossing your teeth and the pain starts almost immediately, that distinct taste of blood hitting your taste buds. “You’ve been flossing every day, right?” No, no you know you haven’t. So you begin flossing, taking the pain each night for another week before you hear about “water flossers.” Intrigued, you think about buying one but end up here to see if water flossing can provide you the same benefits that traditional flossing can. This article will help you make that determination. Flossing is a preventative dental measure that promotes gum health. Flossing, the traditional, string between your teeth variety, helps remove food particle and plaque from between the teeth. Those particles and plaque can build up in the gums, which can lead to gum disease or can help degrade the integrity of the teeth. Ensuring that these particles do not build up maintains the overall health of the gums and teeth. According to the American Dental Association and numerous dental experts, nothing is better for removing those particles than traditional flossing techniques. In fact, bloody and sore gums are not the result of flossing, but the result of a softening of the gums due to that detritus. It has to be removed and the more you do it the less painful and bloody it will be. Water flossing for a majority of users will not get the same results as traditional flossing. Water flossing involves the use of a device that shoots water in between the teeth to remove the debris. However, it does not remove as much debris as traditional flossing does. The audience that it works best for is those who have devices in their teeth that can impede traditional flossing, namely those with braces. Keeping your teeth and gums clean is paramount. To help you build habits in traditional flossing, and find out more about water flossing, go see your dentist. 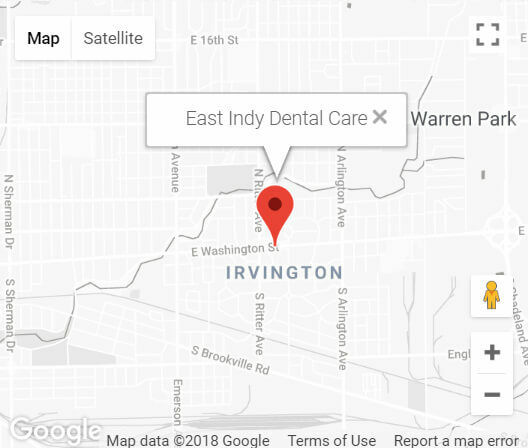 If you are in Indianapolis, come to East Indy Dental Care, where our dentists provide a wide-range of services at an affordable price. We can help you decide whether traditional flossing or water flossing is best for you, so contact us today!